The Knights of Columbus is the world's largest Catholic Men's Fraternal Organization, with over a million and a half members. Our emphasis is to serve our Pope, Bishops, Parish Priests and Community. 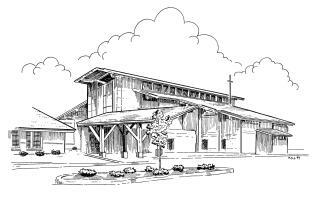 Here at the Church of Saint Henry we sponsor several parish social events each year, as well as assisting our pastor in the spiritual needs at his request. We also support a number of Christian Charitable activities. A few activities include pancake breakfasts, food drives, turkey bingo, a sweetheart dinner dance, and annual scholarships to three high school graduates. Activities are conducted with volunteer hours, and each member chooses the amount of time he and his family can contribute.